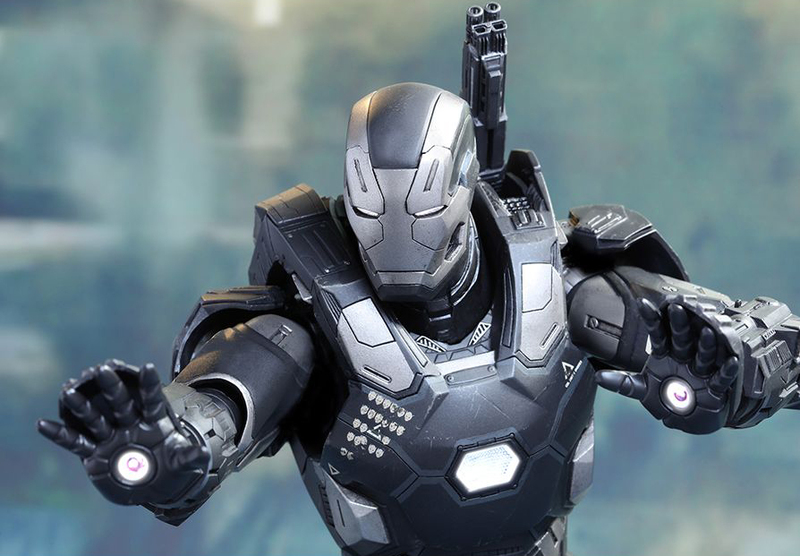 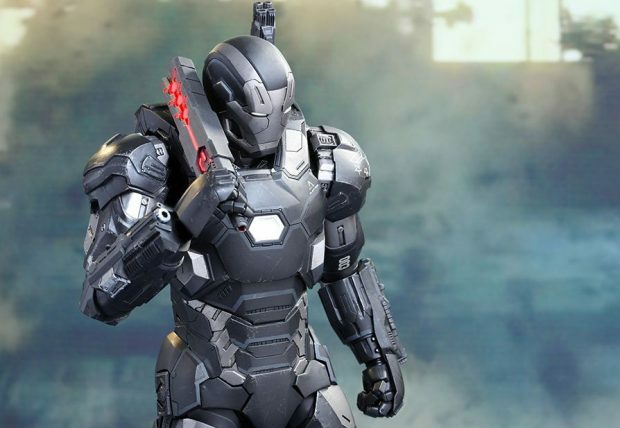 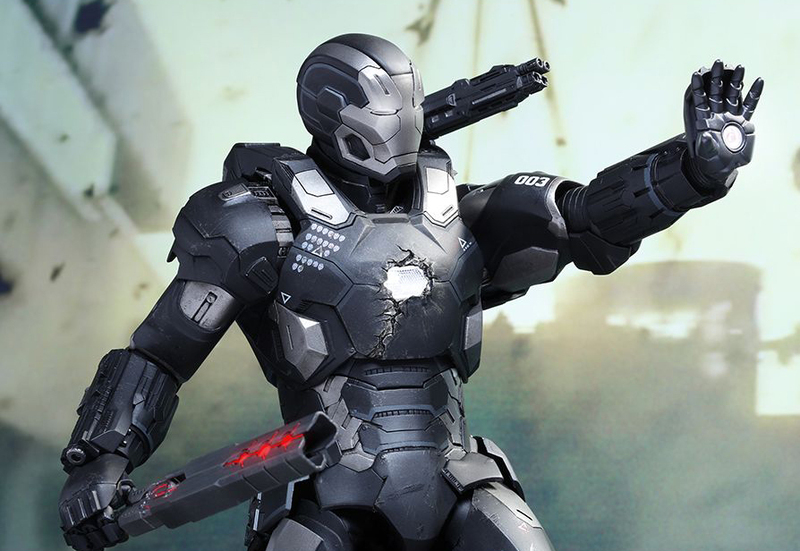 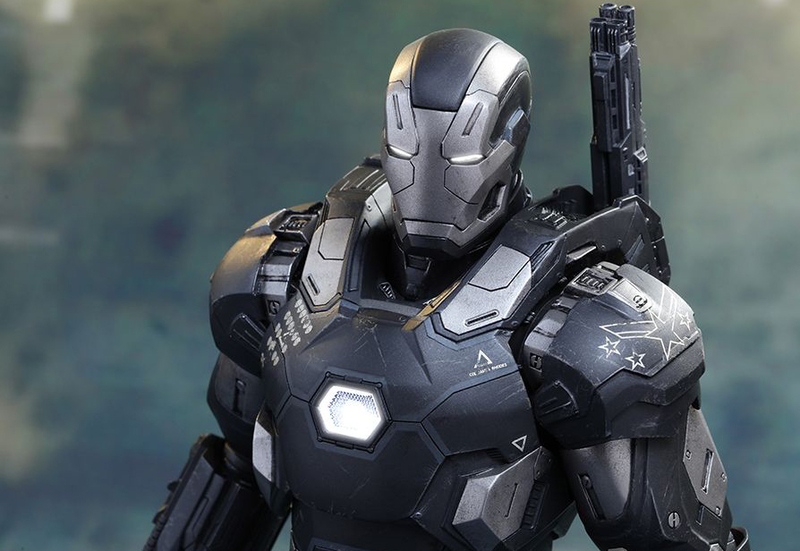 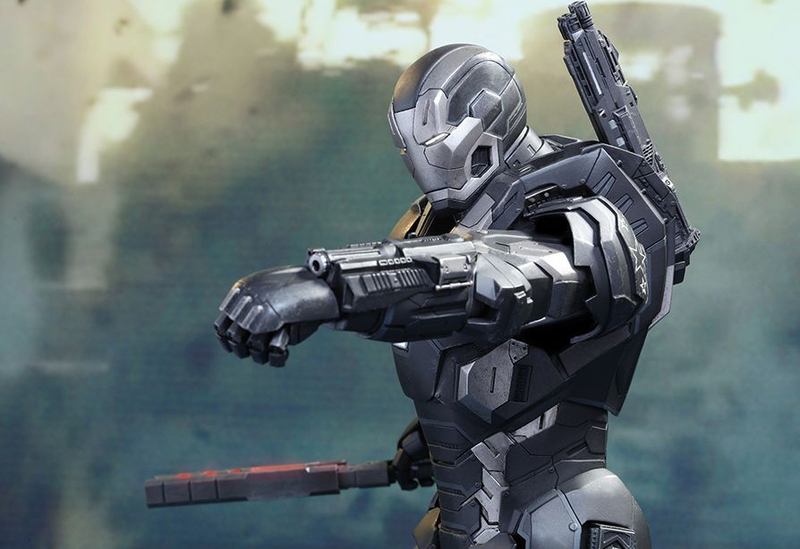 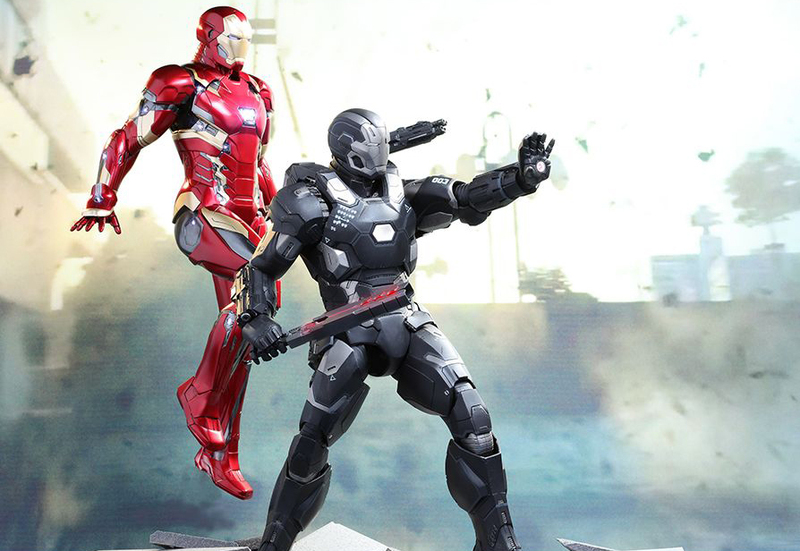 Hot Toys’ latest War Machine action figure is based on Rhodey’s suit in Captain America: Civil War. 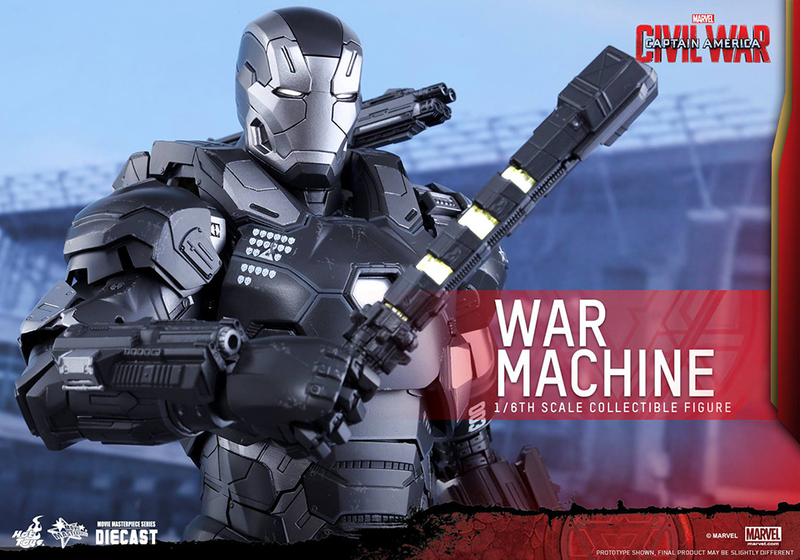 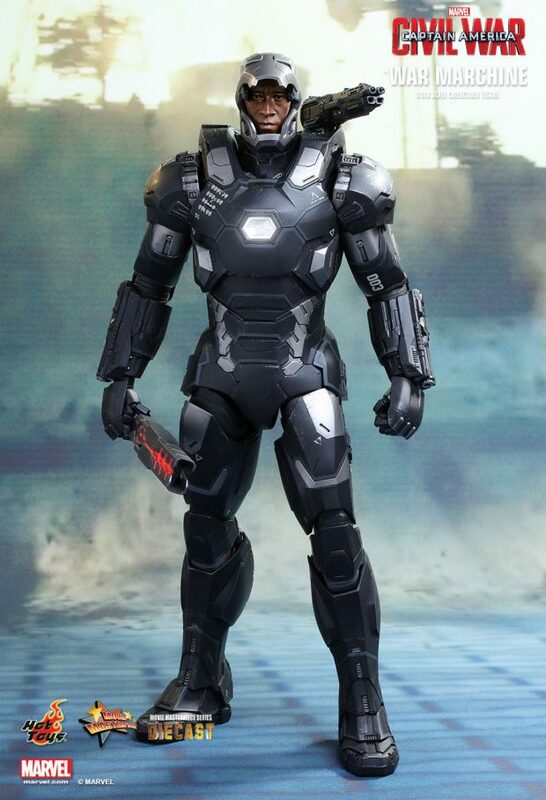 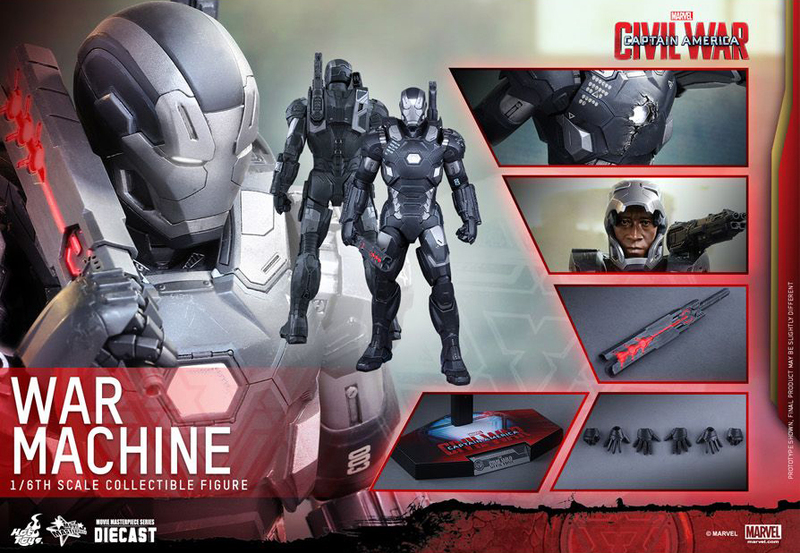 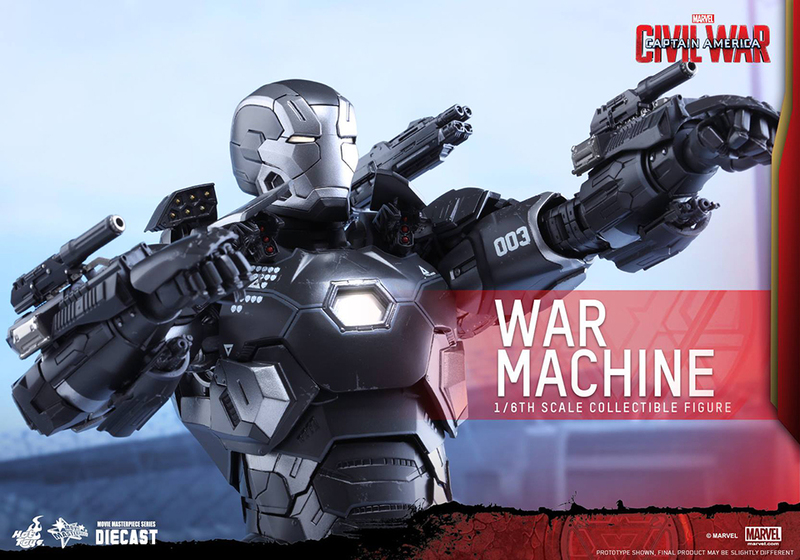 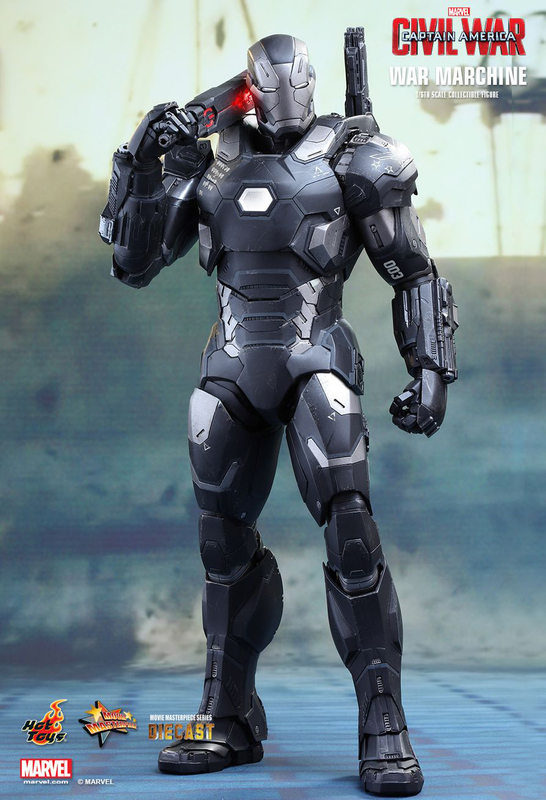 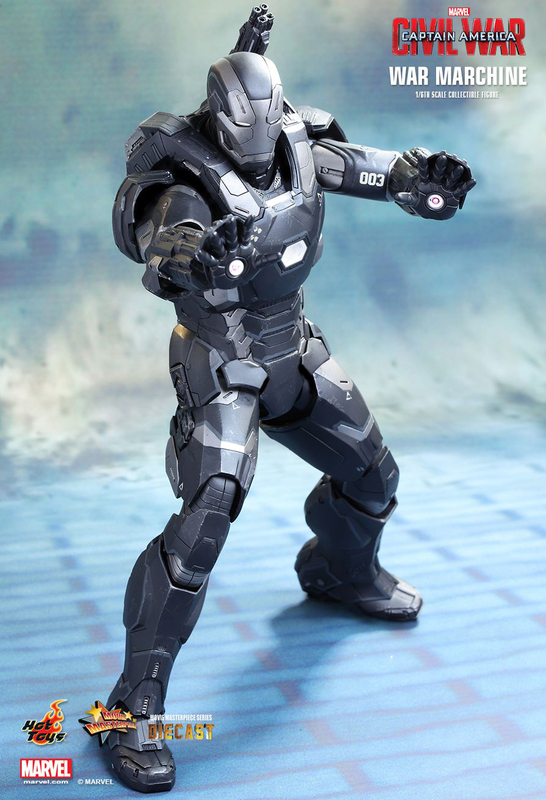 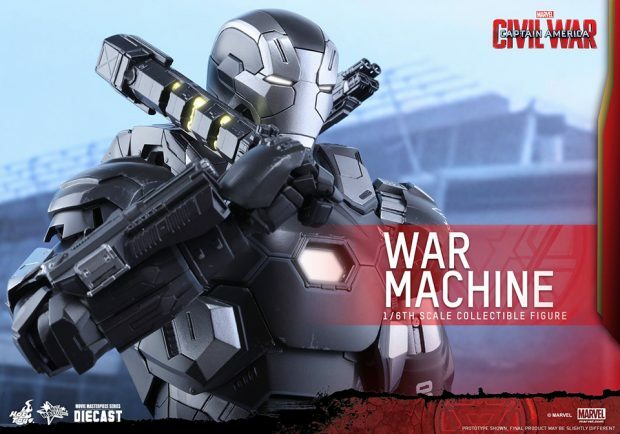 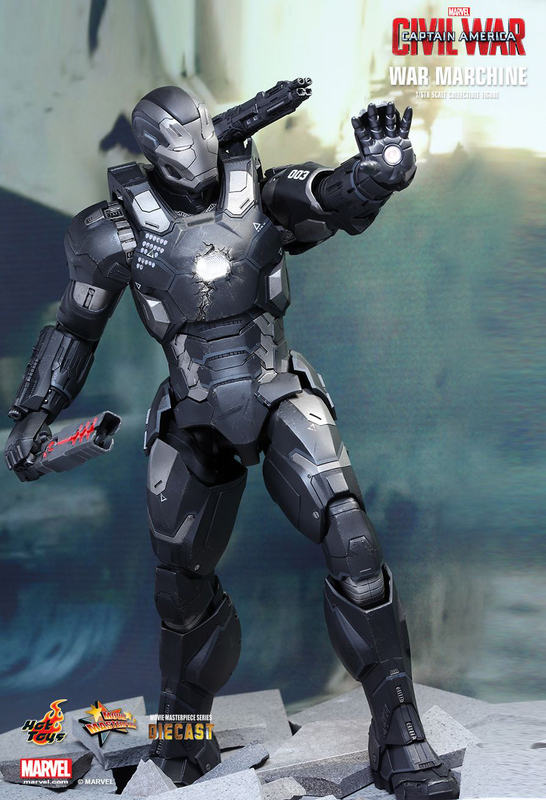 Partially made of die-cast metal, the figure comes with two chest armor – one clean, one damaged – a helmet with light-up eyes that opens up to reveal Don Cheadle’s face, three pairs of hands, a light up arc reactor, two batons, a back-mounted machine gun, four wrist-mounted guns, two shoulder-mounted missile launchers and a back-mounted missile launcher. 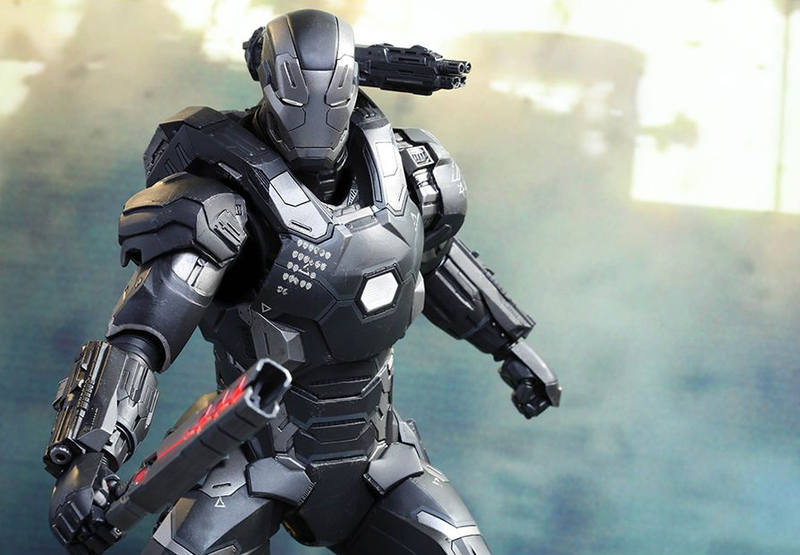 The figure looks great, but as fans have pointed out, War Machine’s eyes, arc reactor and repulsors have a dark red glow, not white. Hopefully Hot Toys can still correct that. 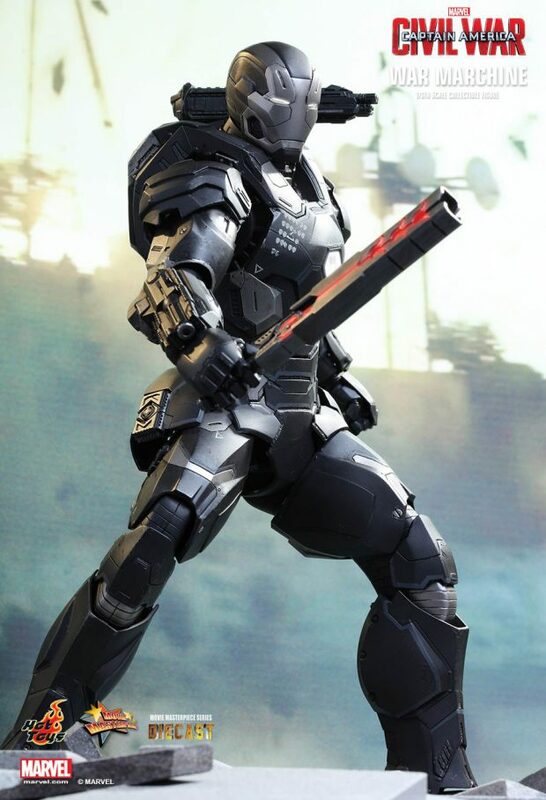 You can pre-order the figure from Sideshow Collectibles for $345 (USD).